ADVANCE PREPARATION: Flatten cutlets with side of cleaver or knife. Sprinkle with salt. Combine mushrooms, parsley, and pimento. Divide mixture onto cutlets. Fold sides over filling and roll; fasten with toothpicks. Place rolls in saucepan. Add chicken bouillon and onion flakes. Cover and simmer 40 to 45 minutes, or until tender. Remove rolls from bouillon. Chill chicken rolls. Sprinkle gelatin over cold water in saucepan. Add buttermilk, mustard, and onion salt. Stir over very low heat until gelatin is dissolved. Chill in refrigerator until mixture is syrupy. 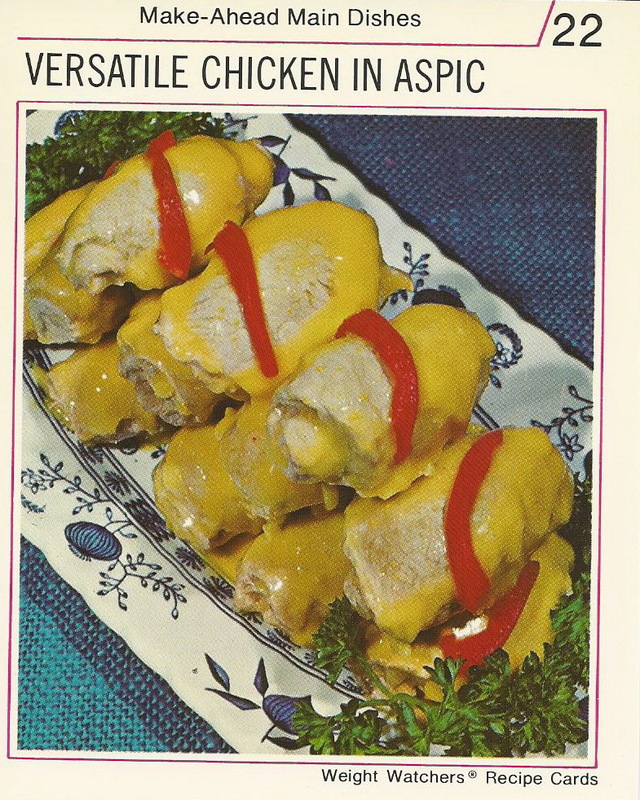 Dip chilled chicken rolls into chilled gelatin mixture, coating on all sides. Drain on rack. Repeat until rolls are thickly coated and all glaze is used. FINAL PREPARATION: Arrange on platter. Garnish with pimento and parsley sprigs. Refrigerate until ready to serve. Divide evenly. Makes 4 dinner servings.